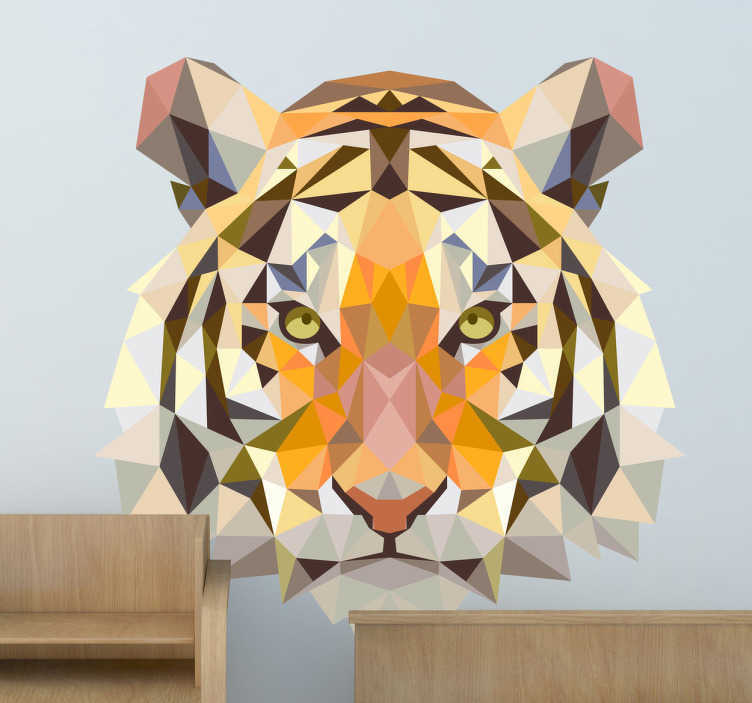 Striking geometric wall sticker of a hungry tiger from our wild animals wall decals collection. Distinctive colourful feature for adding some colour to any bedroom and living room. Ideal for all ages. Suitable for decorating walls, furniture, appliances, devices and more. Available in various sizes. Stickers made from high quality vinyl. Easy to apply and easily removable.